Why It’s Important That you Hire the RIGHT Attorney Right Off the Bat! The Most Dangerous Day to Be on the Road – What is it? Exchanging Info After a Wreck – Risks of Identity Theft? Should You Use The Insurance Company’s Preferred Body Shops? In person, online or on the phone – our attorneys are here to help you whenever the need arises. Get in touch today. After being jerked around by Geico I finally decided to call a personal injury attorney near me. I wasn't expecting much, so I was blown away with the way I was treated from the being with this lawyer. I think my car accident settlement was fair, I didn't get rich off it but my attorney made it easy for me all along the way. I almost made a big mistake by hiring that lawyer that is all over TV and the radio. I had been in a car accident and severely injured. After being represented for about 6 months and never hearing from my attorney or anyone at the law firm I decided to ask my family who I should talk to. Chris really helped me out so I decided to fire that cheezy lawyer that's on tv and get a real one. I am so glad I did. After a year and nine months, I got a great settlement. Thank you, Chris. Not only did he help me recover from my injuries he helped me get an AWESOME SETTLEMENT. I was in a car accident and didn't really want to hire an attorney. My previous experience with lawyers was not the best, and I just figured they were all the same. 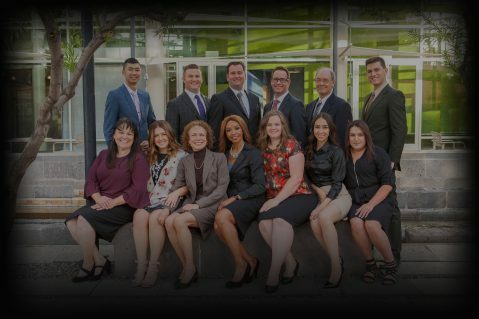 After getting pushed around by the other driver's insurance company I finally realized that I had better go see if I could find a good car accident attorney in Mesa (where I live). I was referred to Hogle Injury Law and I spoke with Chris. He was totally different than I had previously experienced in the past with personal injury attorneys. Chris helped me find doctors and physical therapy close to my house. Not only did he help me recover from my injuries he helped me get an AWESOME SETTLEMENT. I am so happy I used this car accident attorney. They really took care of me.